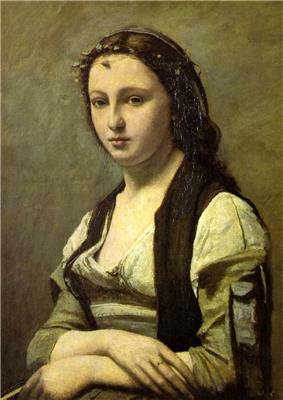 Jean-Baptiste-Camille Corot (French: ; July 16, 1796 – February 22, 1875) was a French landscape and portrait painter as well as a printmaker in etching. He is a pivotal figure in landscape painting and his vast output simultaneously references the Neo-Classical tradition and anticipates the plein-air innovations of Impressionism. 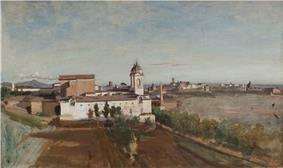 Camille Corot was born in Paris in 1796, in a house at 125 Rue du Bac, now demolished. His family were bourgeois people—his father was a wigmaker and his mother a milliner—and unlike the experience of some of his artistic colleagues, throughout his life he never felt the want of money, as his parents made good investments and ran their businesses well. After his parents married, they bought the millinery shop where his mother had worked and his father gave up his career as a wigmaker to run the business side of the shop. The store was a famous destination for fashionable Parisians and earned the family an excellent income. 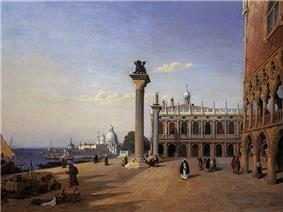 Corot was the second of three children born to the family, who lived above their shop during those years. 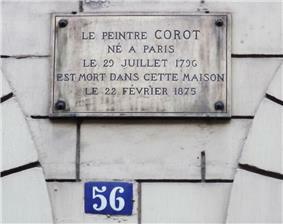 Jean-Baptiste-Camille CorotFind-A-Grave, , photo and location of grave. ^ Marc Fehlmann, 'Menn copiste II. Barthélemy Menn et ses contemporains', in: Genava. Revue d'histoire de l'art et d'archéologie, Vol. 57, 2009, pp. 61-91, esp. 83-87. Le Baptême du Christ (1845-1847), Paris, Eglise Saint-Nicolas-du Chardonnet. The strong market for Corot's works and his relatively easy-to-imitate late painting style resulted in a huge production of Corot forgeries between 1870 and 1939. 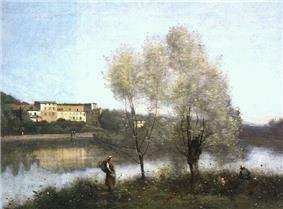 Corot responded:  wrote that Corot "has only a single octave, extremely limited and in a minor key; a musician would say. He knows scarcely more than a single time of day, the morning, and a single color, pale grey. 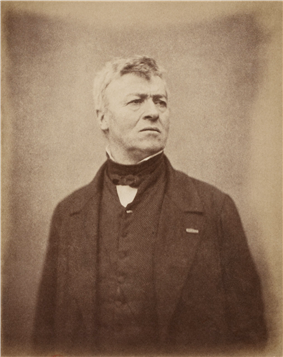 "Théophile ThoréIn the 1860s, Corot became interested in photography, taking photos himself and becoming acquainted with many early photographers, which had the effect of suppressing his painting palette even more in sympathy with the monochromic tones of photographs. 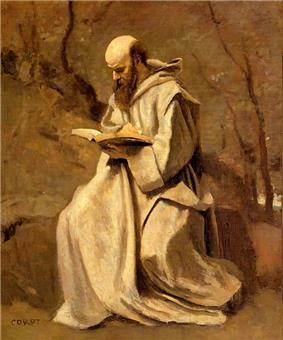 This had the result of making his paintings even less dramatic but somewhat more poetic, a result which caused some critics to cite a monotony in his later work. 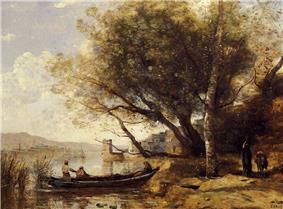 Having forsaken any long-term relationships with women, Corot remained very close to his parents even in his fifties. 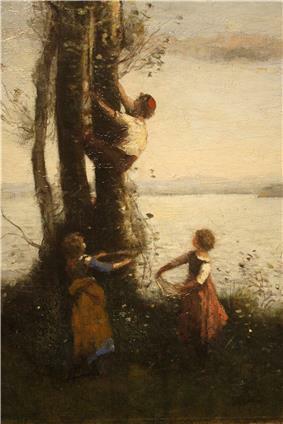 A contemporary said of him, "Corot is a man of principle, unconsciously Christian; he surrenders all his freedom to his mother...he has to beg her repeatedly to get permission to go out...for dinner every other Friday." 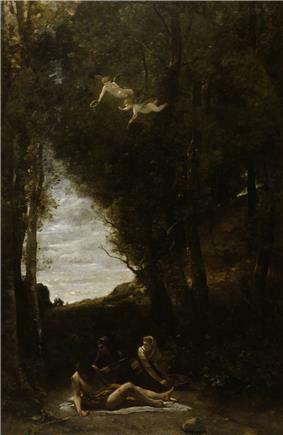 Apart from his frequent travels, Corot remained closely tethered to his family until his parents died, then at last he gained the freedom to go as he pleased. That freedom allowed him to take on students for informal sessions. Future Impressionist Camille Pissarro was briefly among them. 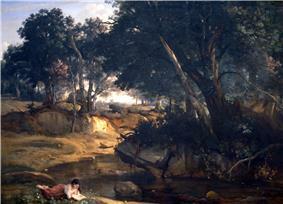 Corot's vigor and perceptive advice impressed his students. 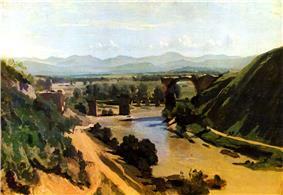 Charles Daubigny stated, "He's a perfect Old Man Joy, this Father Corot. He is altogether a wonderful man, who mixes jokes in with his very good advice." 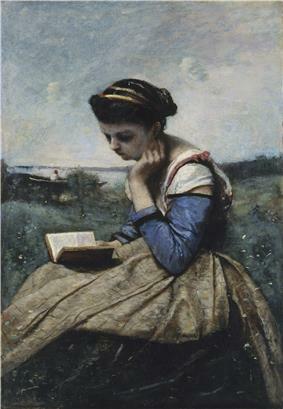 Another student said of Corot, "the newspapers had so distorted Corot, putting Theocritus and Virgil in his hands, that I was quite surprised to find him knowing neither Greek nor Latin...His welcome is very open, very free, very amusing: he speaks or listens to you while hopping on one foot or on two; he sings snatches of opera in a very true voice", but he has a "shrewd, biting side carefully hidden behind his good nature."